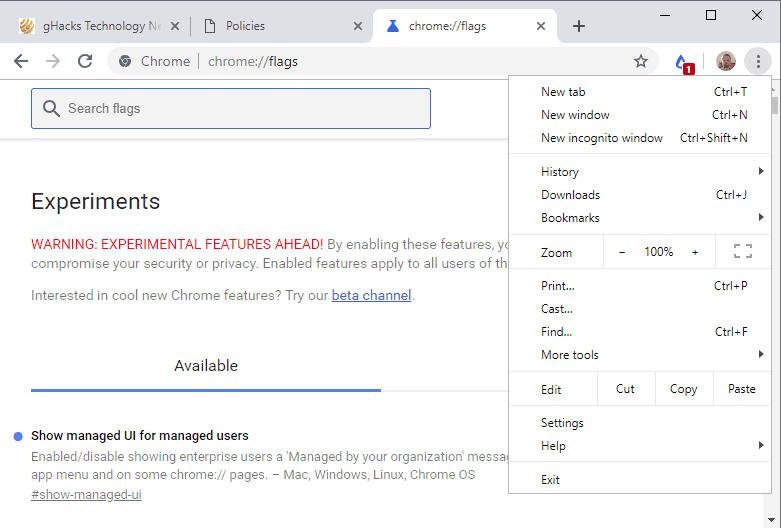 Google Chrome users who run a recent version of the web browser, Chrome 73 or newer, may have spotted a new entry in Chrome’s main menu called “Managed by your Organization”. 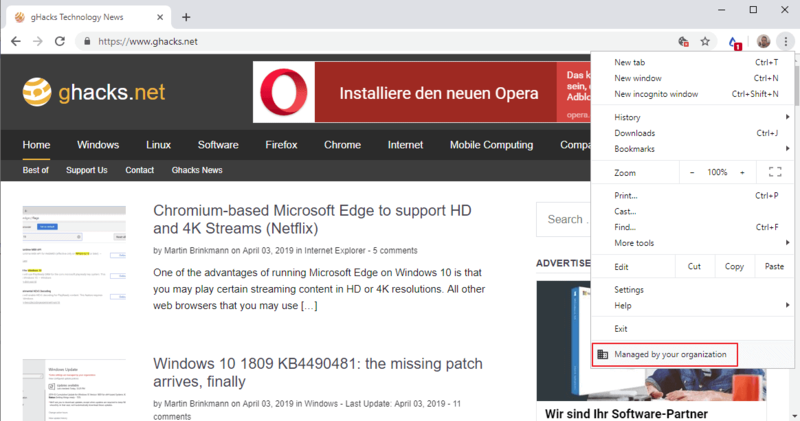 The entry is added to the bottom of the main menu and a click leads to a support page on Google’s Chromebook website that provides basic information about managed Chromebooks or Chrome browsers. 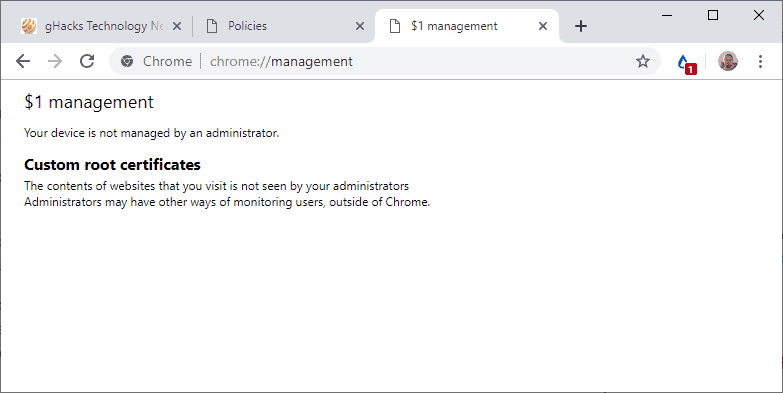 If policies are set that affect Chrome on a device, the “Managed by your organization” entry is displayed in the menu; this can be the case for machines or browsers in Enterprise work environments. There are, however, situations, where policies are not set by the user or an administrator and the message is still displayed. The very first thing you may want to do to analysis the issue is to open chrome://policy/ in the browser’s address bar to see if policies are listed. Chrome lists all policies that apply to the browser when you load the internal page. Chrome displays “No policies set” if no policies affect the web browser. You may also want to load Chrome://management to find out if the browser is managed by an administrator. If you see “Your device is not managed by an administrator”, then it is not managed by one. Policies can still be set and affect Chrome. A better option is to hide the new menu entry in Chrome. Google added a new flag to Chrome’s experimental page that you may set to hide the menu entry. 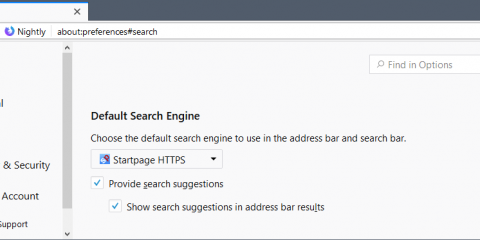 Load chrome://flags/#show-managed-ui in the browser’s address bar. Doing so should hide the “Managed by your organization” entry in Chrome’s menu. Ghacks needs you. 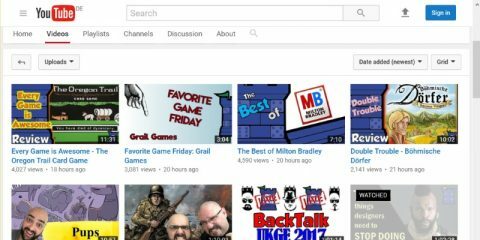 You can find out how to support us here or support the site directly by becoming a Patreon. Thank you for being a Ghacks reader. The post About Google Chrome’s Managed by your Organization entry appeared first on gHacks Technology News.